So. What to do with all this longing, all this desire? 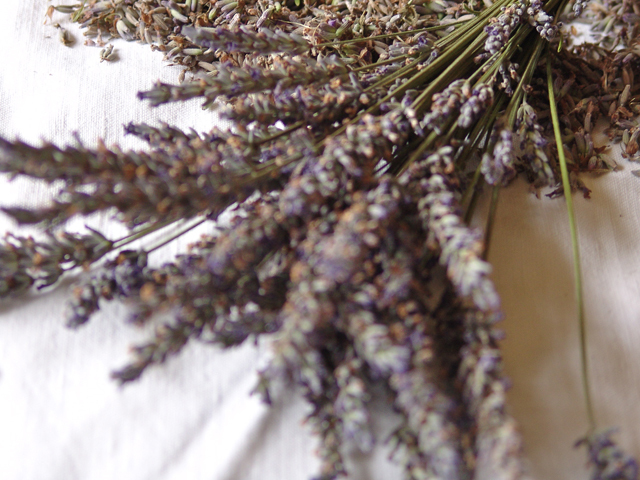 I remember the bag of lavender we harvested this summer. I will use that, and all its Proustian power, to conjure up some of the France that I miss so badly here in Italy. The process is relatively simple. 1. Take the six women’s handkerchiefs carried back from the French supermarket. Cut each in half. 2. Fold each half and sew along the sides. Invert, iron. Voilà: 12 breathable little sacs. 3. 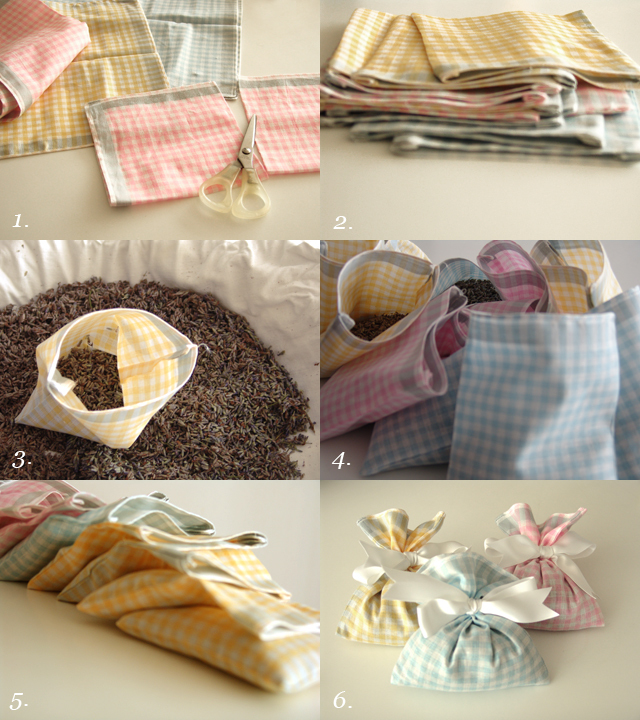 One at a time… 4. fill them with lavender. 5. Close by sewing from seamed-side to seamed-side about 3-4 cm from the open edge.6. Tie. Done. Breathe deep, and let the flood of memories come. 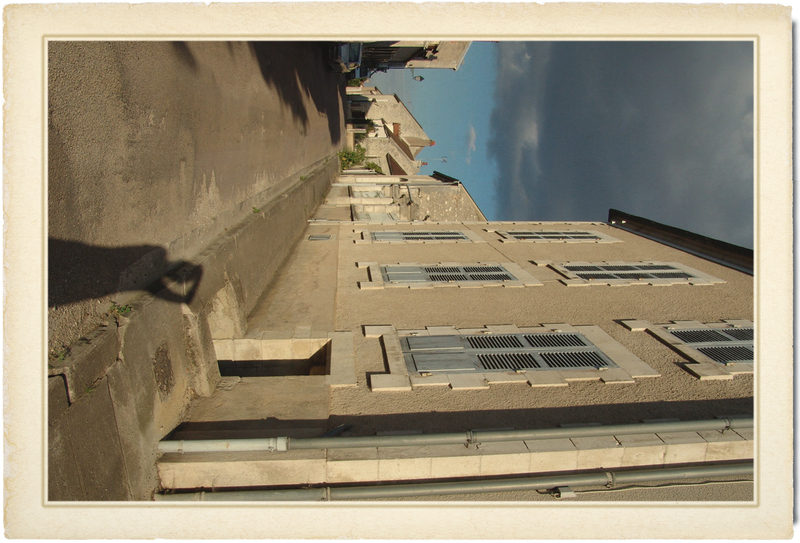 This entry was posted in FRANCE, POSTCARDS, WHAT TO DO and tagged accolay, France, how to, lavender, memory, sachet, summer. Bookmark the permalink. 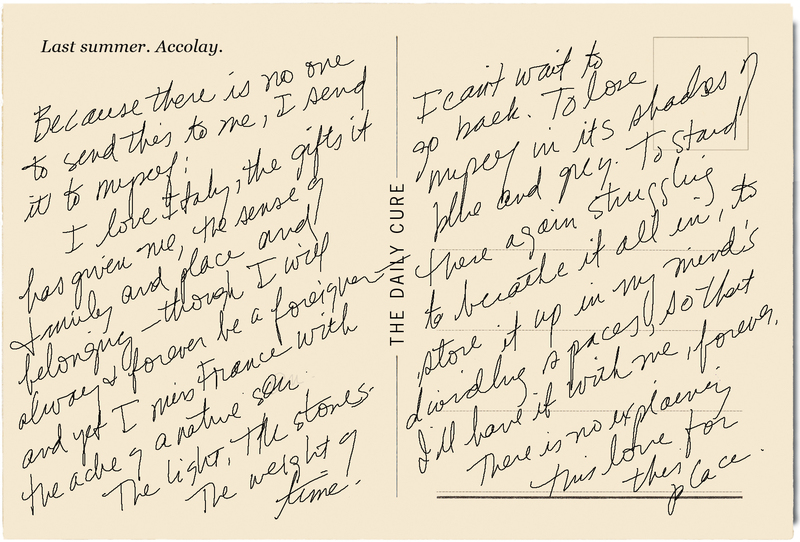 2 Responses to Postcard #4: Missing. Remembering.